Canvas leverages collaborative technology to allow multiple users to work together on the same document at the same time. Collaborative documents are saved in real-time, meaning a change made by any of its users will be immediately visible to everyone. When would I use Collaborations? Copy and paste notes that everyone can access. Share bullet-point lists or agendas for upcoming synchronous class or group time or meetings. Create a text-based whiteboard that everyone in the classroom can see and refer to later. Assign student groups a collaborative assignment as a graded assignment (instructor feature). All Canvas courses support Google Docs as the default collaborations tool. Collaborations that leverage Google Docs require that all participating learners have created and linked their Google account to their personal Settings. Google Docs allows you to add up to 50 users per collaboration, and all users can view and edit a document at the same time. However, Google collaborations has a limit as to the number of users who can access a collaboration at any time. Collaborations also supports the Google Apps LTI, which is enabled in a course as an external app. Google Drive collaborations not only allow users to create Google Docs, but they can also create Google Spreadsheets and Google Presentations. The Google Apps integration requires enabling the External Collaborations Tool feature option. 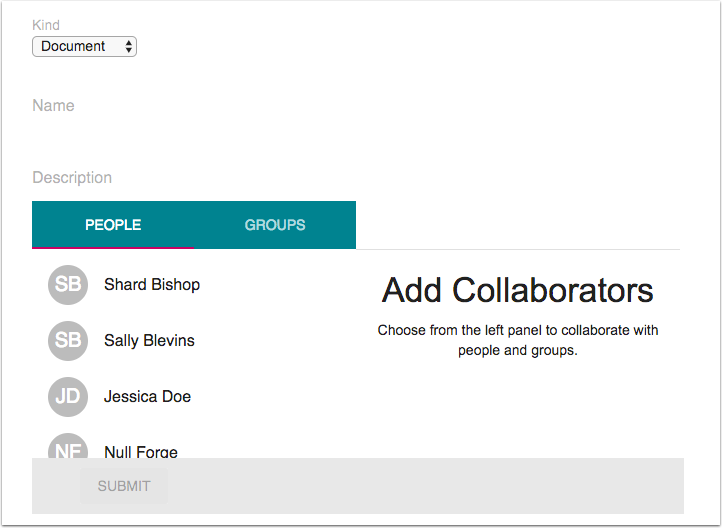 However, enabling this feature option changes the Collaborations interface and removes any existing Google Docs collaborations. Collaborations can also be created when the Microsoft Office 365 LTI is enabled in a course as an external app. 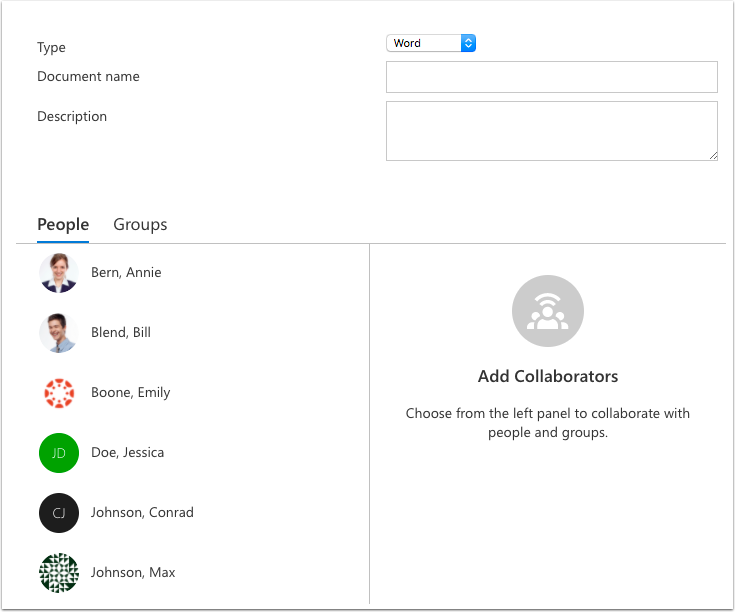 The Office 365 integration requires enabling the External Collaborations Tool feature option. Table of Contents > Canvas Features > What are Collaborations? Collaborations also supports the Google Apps LTI, which is enabled in a course as an external app. Google Drive collaborations not only allow users to create Google Docs, but they can also create Google Spreadsheets and Google Presentations. The Google Apps integration requires enabling the External Collaborations Tool feature option. 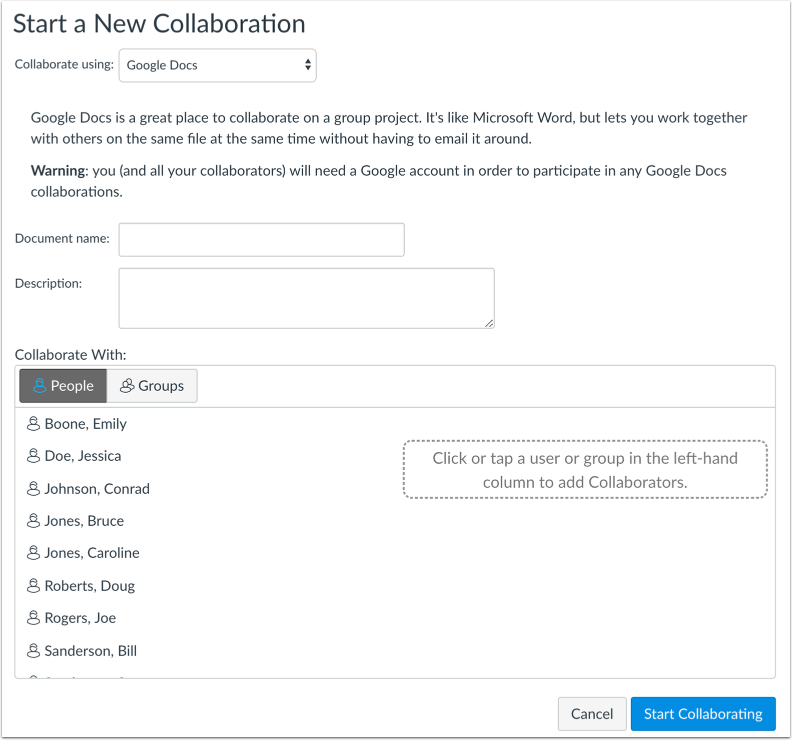 However, enabling this feature option changes the Collaborations interface and removes any existing Google Docs collaborations. There are so many possible interactions here it's kind of mind-boggling, but contrary to what the document seems to be saying, it doesn't seem that the LTI integration requires enabling the External Collaborations feature option, unless setting it to "Allow" at the account level counts for that. The result we want to accomplish is to enable the LTI integration and to removef the Web Service integration, and what I'd like to find out is if, given the four settings referenced above, we're going about that in the right way. I'm surprised more people don't have questions about Collaborations, given how confusing I've found the set-up to be and how much hand-holding goes into supporting the few faculty members who use them. Thanks for leaving this comment. The person on our documentation team who is assigned to Google integrations is out this week. Until then, I will make a note for someone on our team to look into this further to determine if an update is needed to explain the relationship between the External Collaborations Tool feature option and using the Google Apps LTI. Is there a reason why the feature option is turned off at the course level? >> Is there a reason why the feature option is turned off at the course level? I'm not entirely sure. I think it may be because I didn't know to do it at first and things seemed to be working fine, so I didn't want to do anything that might break a working assignment. Do you know what effect it's supposed to have? Thanks for the clarification. I was just curious if there was anything else that led to the feature option being turned off. Enabling that feature will allow users to view an updated interface of the Collaborations too that was specifically created for Microsoft Office 365 LTI and Google Apps LTI. Additionally, it emoves the links to all existing collaborations and no longer allows users to create collaborations with the existing Google Drive option. Re: Is there anyway to see a students Google Doc revision history in a Canvas assignment? Re: Grading input in a Wiki?